In the State of Iowa, snow and ice are often unpredictable during the winter months and can create some very serious conditions. Our number one priority for snow removal is the safety and well being of all who travel on the properties we maintain. 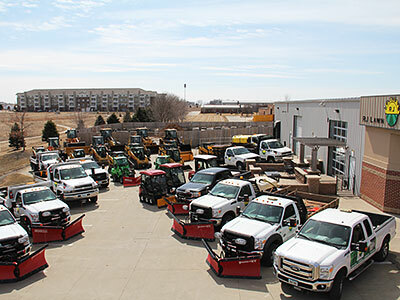 Recognizing the time constraints involved in preparing a business for specific hours of operation, we work around the clock during and after snow events to make sure our customers are ready for theirs. RJ Lawn Service offers snow removal services including: plowing, ice-melt application, liquid de-icer application, sanding, and snow relocation.